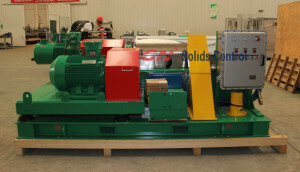 GN Solids Control is doing motor drive centrifuge for over 5 years. After these years, GN centrifuge design, quality, working performance, working lifetime is reach World Class standard, competing with Derrick centrifuge, Swaco centrifuge, Nov brandt king cobra centrifuges. To provide more centrifuge choice, GN Solids Control is doing research on Hydraulic drive centrifuge, and this new type centrifuge will be shown at CIPPE 2016. GN Solids Control is exporting lots of high quality, good price to international clients in oil gas drilling, HDD drilling, CBM drilling, water well drilling industries. Recent exporting project including but not limited to below cases. The client is GN old clients who bought one set 500gpm drilling mud system. Up to now, the performance is still very good. This save lots of cost and work time for client, also win good fame for client, more and more projects coming to the HDD drilling customer. The water drilling client buy one set 200gpm mud system from GN in 2014; after knowing more about GN, the buyer repeat two sets 500gpm mud cleaning system for water well drilling, with customized color of shale shaker, mud cleaner, mud tank, etc. 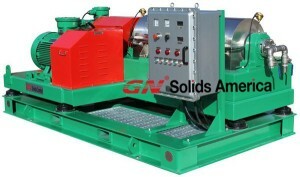 GN Solids Control decanter centrifuge is mainly used for solids control / drilling waste management. The high quality centrifuge replace many US brand centrifuges in the market. GN centrifuge is replacement centrifuge for Derrick centrifuge, Swaco centrifuge, NOV brandt centrifuge. 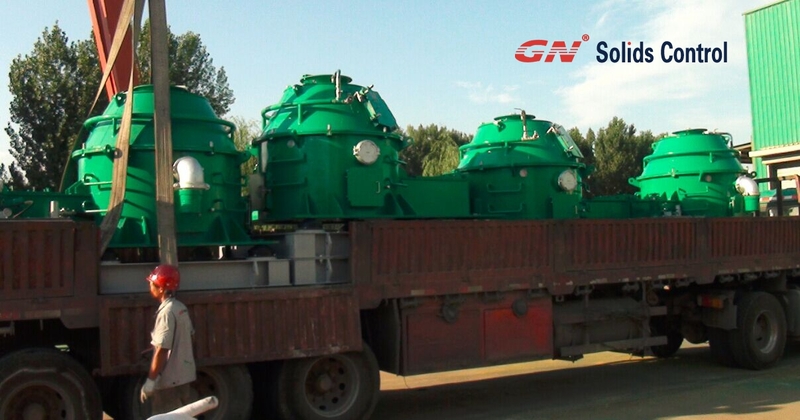 Buying centrifuge from GN Solids Control, the client can get the best selected centrifuge from China, most cost-effective. We have one client firstly only test 1-2 sets centrifuge. After 3 years, the client place order of over 30 sets centrifuges. 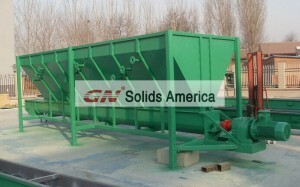 GN Solids Control is committed to offer top quality solids control equipment. Pls contact us freely if you need some. Hebei GN Solids Control Co., Ltd was established in 2007 with the vision to provide the best product and service to its clients, making it a policy that to improve its product and service continuously. After around 8 years’ development and growth, GN Solids Control made breakthroughs on designs of its waste management equipment such as High G shaker, Vertical Cutting Dryer and Decanter Centrifuge. The newly updated equipment is specially designed to treat drilling waste. After updating the decanter centrifuge, accordingly the user manual is updated. Firstly, how to start up and shut down the decanter centrifuge by handling the electric control cabinet? Below chart is the buttons and indicator lights on the electric control cabinet through which the decanter centrifuge will start up and shut down. 3. Push button 5 to start the main motor; consequently indicator light 4 turns on after it runs normally and stably. 4. Push button 8 to start the feed pump when the main motor’s rotating speed reaches to the rated, consequently indicator light 7 turns on and feeding starts. 2. Press button 6 to shut down the main motor, consequently indicator light 4 turns off. Waiting till the main motor completely stops. 3. Press button 3 to shut down the back drive motor when the main motor completely stops. When indicator light 1 turns off, the back drive motor stops. 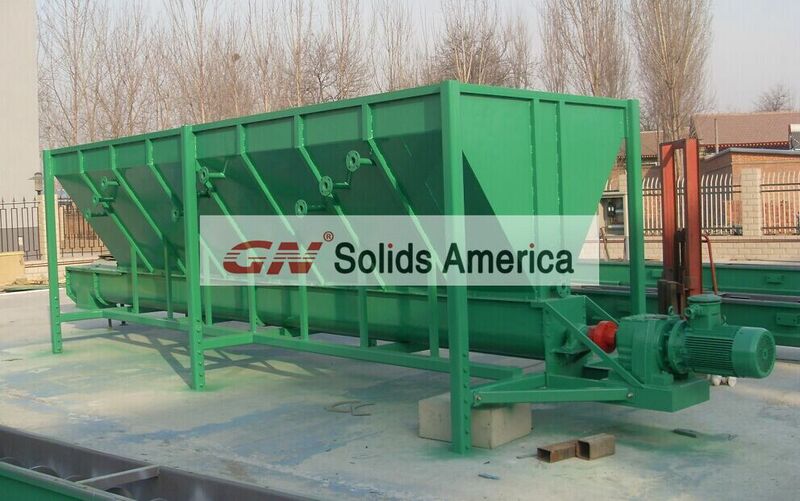 GN Solids Control formerly produce centrifuge by orders. That means when customer release order with payment, then we produce. In this way, we cannot make a plan and use the resources reasonably. But now, we change the manufacturing model and go for production by batches. In this case, we can meet the requirement from market better with shorter delivery time and highly standard equipment. GN decanter centrifuge model GNLW363CG /GNLW363CG-VFD is equal to Alfa Laval centrifuge in centrifuge design and production material choice. The performance is very good after many times trial experiment. Now GN 4th generation centrifuge is working in many jobsite to serve the oil drilling / HDD drilling in domestic market and overseas market. For now, GN have over 10 sets GNLW363 series centrifuge in stock for sale. With down payment, we can deliver the centrifuge to customer within 1 week time. 1) high G dryer which is professional to treat the water based mud drilling cuttings. 2) vertical cuttings dryer which is professional for WBM/OBM/SBM drilling cuttings drying treatment. The OOC can reach to 3% to 5%. 3) solidification unit /stabilization unit which is final treatment of WBM/OMB/SBM drilling cuttings after treated by High G dryer / vertical cuttings dryer. 4) Thermal desorption unit, which can separate oil, water and solids. The recovered oil can be given back to drilling company to match drilling mud. In the above equipment, centrifuge and vertical cuttings dryer is our most popular equipment for now. TDU is under research and development. We may launch TDU to market end of this year. We already sold over 100 sets centrifuge and over 60 sets vertical cuttings dryer to overseas and domestic market this half year. Hebei GN Solids Control Co., Ltd is the first company in China who developed vertical cutting dryer to treat the drilling cuttings so as to be dry enough to be discharged. With a few years development, now GN vertical cutting dryer has been accepted by the big players in the oilfield. Last year, CNPC has purchased one set of drilling waste management system composed of the main products vertical cutting dryer and decanter centrifuge for the Shell project in Sichuan province, China. The treating effect is satisfying with the stable performance so the same client place a repeated order of 5 sets of vertical cutting dryer this year for its Algeria project. GN vertical cutting dryer is used to treat oil based mud cuttings to reduce the liquid content around 5%, that means it will be dry enough to be discharged. The Algeria project needs the Vertical cuttings dryer to treat the oil based drilling cuttings to meet the OOC below 5%. GN vertical cuttings dryer has been proved to get the OOC down to 3% to 5%. And besides the performance, the reliability and durability is very important for the international projects. This is also one of the main reason, CNPC oilfield service company chooses GN products to meet the critical waste management projects. Beside CNPC, GN vertical cutting dryer and decanter centrifuge is also accepted by Baker Hughes. Last year, Baker Hughes in Russia purchased 4 sets of drilling waste management system from GN, and now they are operating in Russia, the operating video is available at GN website. In 2015, since the strict environmental regulations are carried out, over 30 sets of drilling waste management were delivered to domestic market, and now more and more are under construction. 6. The V tank is like standard frac tank, lowering the rig-up time and easy operation. GN vertical cutting dryer plays an essential role in recovery of drilling cuttings, GN V-shape tank is capable of doing collecting the drying cutting from shale shaker and subsequently transfer cutting to vertical cutting dryer for more process. Capacity of GN vertical cutting dryer is 30~50 Ton each hour. V tank auger will fit the demand. 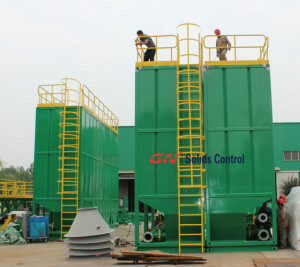 GN vertical cutting dryer can be used for drying oil based mud, water based mud and artificial based mud. While using centrifugal pressure and stainless screen maximum separate the solids and recovery the drilling liquids. You will find three types of screen to split up different solids including 0.25, 0.35 and 0.5mm opening size. GN is focusing on the solids control and drilling waste management industry for several years. We’re devoted to supplying the Zero discharge solution, small footprint and economic the perception of any project. Make a connection with GN representative either recovery of drilling cutting problems or drilling cutting delivery issues.